Sometimes a picture is truly worth a thousand words. For those of us from the "multiracial" or mixed race community, photos of our population -- our people, our families, our children -- aren't as shocking as they are an affirmation of what we have already known: Race is a social construct. For twins, Lucy and Maria Aylmer from Gloucester, England who have been asked to produce their birth certificates to prove they are related, they aren't alone. 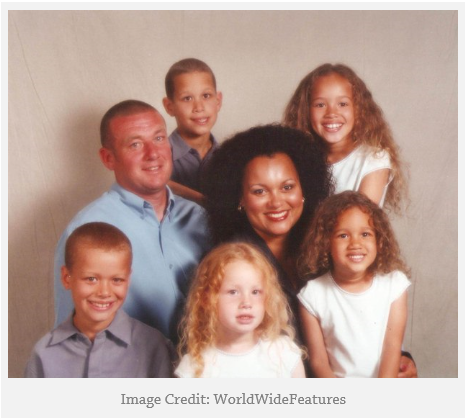 In the U.S., the self-identified "multiracial" community is at nine million and climbing. So why is it so difficult for so many to believe that the two girls are related, even after being told of their biological ties? Well, our notion of "race" and the historical "one-drop-rule" may be a good place to start. The 1924 Racial Integrity Act defined race by the "one-drop rule," defining as "colored" persons as anyone with any African or Native American ancestry. This law was in effect to purify the white population, while also expanding the scope of Virginia's ban on interracial marriage (anti-miscegenation law) by criminalizing all marriages between white persons and non-white persons. In 1967 the law was overturned by the United States Supreme Court in its ruling on Loving v. Virginia. As for those who believe that "race" is somehow biologically determined, Lucy and Maria are twins -- (yes, from the same mother and father), but which racial group do they belong to? Is it the same one? Given the one-drop rule, should red-headed Lucy still be considered "black"? Ta-Nehisi Coates, national correspondent at The Atlantic addresses the shifting social dynamic of race head on in his article, "The Social Construction of Race." 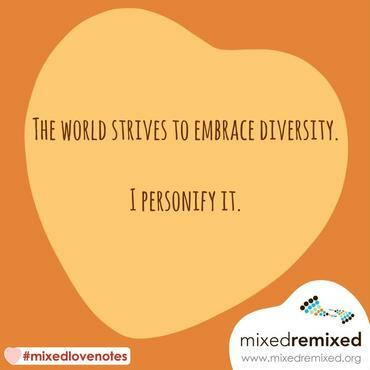 For those of us within the multiracial and mixed race community, the "What are you?" question is an inherent part of our experience worldwide. Because we don't always "fit" comfortably into one "racial" phenotype or "look" (nor do our siblings) we often keep others guessing. But with this guessing also comes negative assumptions about who we are and where we belong. Some of the challenges of racial identity construction faced both within as well as outside of our community would be lessoned through ongoing education and awareness about the multiracial experience here and abroad. In response, Heidi W. Durrow, author of New York Times bestseller The Girl Who Fell From the Sky -- is producing a cultural arts festival in Los Angeles (June 13, 2015) celebrating stories of the mixed racial and cultural experience through films, books, visual arts and performance. Through film screenings, readings, workshops and performance, the Mixed Remixed Festival highlights previously untold stories of connectedness as a community and a nation across cultural, racial and religious divides, provides a safe, positive forum for honest discussions about race and culture, creates a platform for emerging storytellers' careers and promotes the mixed experience as a valuable prism with which to view issues of social justice and change. The original festival (Mixed Roots Film and Literary Festival) showcased many talented filmmakers, writers and performers including: Key and Peele, Rebecca Walker, Kip Fulbeck, Danzy Senna, Carleen Brice, Kim Wayans and Kevin Knotts, Angela Nissel, Neil Aitken, Mat Johnson, Faith Adiele, Sundee Frasier, Karyn Parsons, Dr. Maya Soetoro-Ng and many many more. The Festival also awards the nation's only prize for artists, scholars, community leaders and activists who celebrate and illuminate the mixed experience in their life's work with the Storyteller's Prize. Past Storyteller's Prize honorees include Comedy Central's hit comedic duo Key and Peele, Cheerios and award-winning writer Susan Straight.